So you know, I don’t receive any commission on any product reviewed or recommended here. Clothes worn on travel can be very personal. Each person has their own body type, fashion preferences, brands they trust and prefer, and more. I’ve been through a lot of travel clothes over the years, from the zip-off pants that convert into shorts (abysmal looking) to where I am today (smarter fabrics with some fashion incorporated). Certainly you don’t have to buy any new clothes for travel, and if you’re on a budget, then buying new stuff really likely won’t (and probably shouldn’t) be part of your path. For example, on my first trip backpacking Europe for 6 months, I bought a new backpack for the trip and had enough new gadgets and equipment to fill 3 backpacks. An Aussie friend looked at all my stuff, shook his head, and said “good luck mate” and later told me that I’d be tourist target #1 with all that shiny new crap on my back. I did end up getting things stolen out of my backpack, although no clothing. To be fair, theft could occur at many places, times and ways for any budget. I’m not trying to land on a fashion runway, just to be comfortable and feel good about what I’m wearing. Each person has their own style and preferences. Also, travel sometimes presents unique challenges in a variety of ways including clothing. For example, if your laundry is washed and dried by a person or company, will the clothing shrink or deteriorate? Here’s a few travel clothing examples that I presently like. 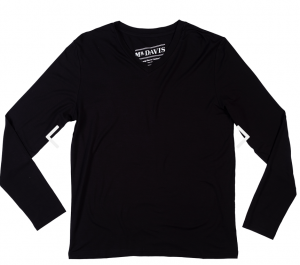 Mr. Davis The Lounge Shirt – this is the best long sleeve shirt I have for travel. Heck it’s one of my favorite long sleeve shirts of any kind. I just love it. It’s made from 96% Bamboo Viscose and actually feels cool to the touch, and is extremely soft. It’s perfect for warmer climate travel or in combination with other clothes, such as an undershirt. Mr. Davis has a short sleeve undershirt, but it’s not quite my thing, as one version looks too tight and the other is a big too baggy. Oddly enough, although Mr. Davis is primarily a clothing company and mostly known for undershirts and underwear, I use their Continuum bag for all of my travel backpack on trips. The bag is well built, fits into airplane storage compartments well, and is very affordable. The bag is currently on clearance for $79. 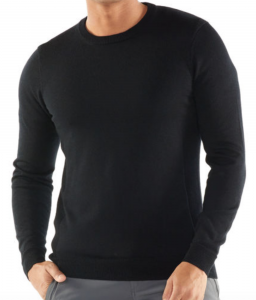 Tasc (Bam) Bare V-Neck Undershirt – my favorite short sleeve undershirt. Also made of bamboo. Great to travel with. Feels more like soft cotton, but is light and dries well too. Tasc makes primarily bamboo based products, and they are high quality in all of my experiences. It stylish enough to be worn on it’s own or as an undershirt/with other clothes. There are a ton of companies now that make v-neck t-shirts that are flexible, quick drying and “moisture wicking”. For me, Tasc has been everything that I’ve wanted in a short sleeve shirt for travel. 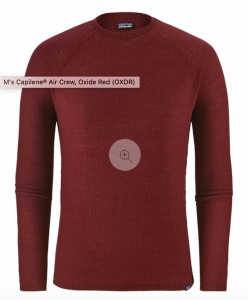 Patagonia Men’s Capilene Air Crew – I’m pretty hard on Patagonia as a brand. To me they were late to the game with wool and natural fiber based products. They still rely on synthetic, oil based fibers for the majority of their sales and lecture everyone else about environmentalism. I’ve visited Patatonia’s company headquarters and was given a tour of their facilities including watching how some of the garments and products are made. A new trend is blended wool products made from cotton and/or synthetic material as well as wool. There are some products that Patagonia makes that I’ll buy, which are either wool or mostly wool, and this is one of them. Patagonia can keep their synthetic clothing; there’s plenty of it in from other companies that’s just as good and much less expensive. Icebreaker – they make some of the best wool products in the world, all sourced from special wool from New Zealand. Smartwool often gets most of the attention on the natural, modern wool front, but Icebreaker is significantly better in my opinion. Smartwool was purchased by Timberland in 2005, and has since made products with less wool and more synthetics. The quality of most Smartwool garments has gone down since Timberland took over. The takeover and product line seems to be much more about profit over product, as synthetic material is cheaper and more profitable than wool. The philosophy of almost all wool products is nearing extinction too. Smartwool and Icebreaker are on the higher end of the price range but sales abound at various stores and times of the year. Wool naturally resists oder and water, and is great for wearing on multiple days on trips. I don’t own many things from Icebreaker, but probably will in the future. 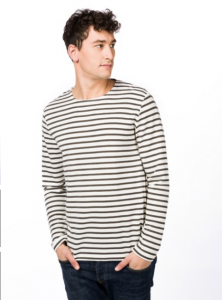 An example of a nice, simple piece that’s versatile for travel is the Cool Lite Qualiburn Crewe Sweater. Wool & Prince Button Down shirts – my draw towards natural fibers is getting the best of me with a wool button down, but I know this company makes good stuff. Wool button downs tend to be pretty heavy, and I can’t imagine wearing one in warmer weather. For warmer weather I prefer some sort of wrinkle free shirt. Linen isn’t my thing either. 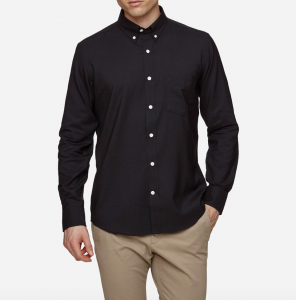 I’m going to try this shirt out and give a long sleeve wool shirt a chance on my next trip. I prefer a slight amount of stretch built into my jeans or travel pants. That generally requires 2% to 3% of stretch material like spandex or elastane built into the fabric. 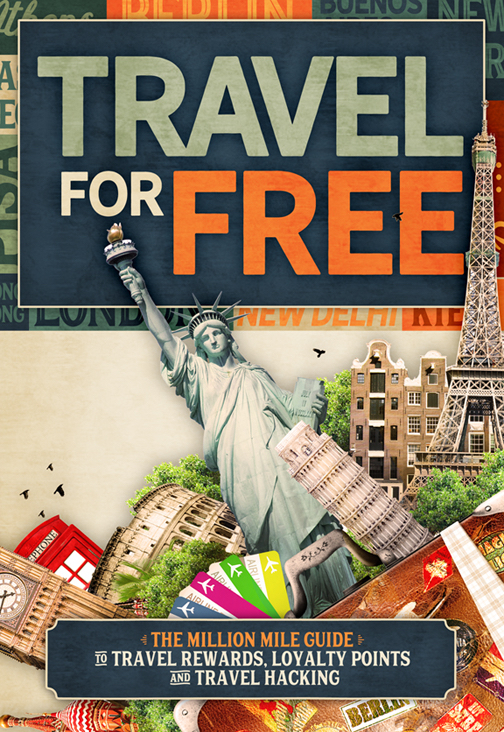 When I travel I usually am on trains, buses, flights and walking a lot. In short, I need bit of give in my jeans/pants, as I never know what I’ll be doing that’s active. However, when you get into the 6% (or more) of built in stretch material it feels like jeans have transformed into something else that aren’t really jeans. When it comes to jeans, I find that the more stretch material that’s built into the (denim) fabric, the less it will hold up over time and last through rougher conditions. That’s my personal preference and maybe a guy thing, as women seem to have tons of stretch built into their jeans. I like a little give, but not too much. Brax Pants – just when I was losing hope to find pants or jeans that fit right without alterations, I found Brax. Brax is basically everything that I look for in a travel pant. They are lightweight, made well, have a slight amount of stretch, are trim but not tight, and look good. The only downside is that they aren’t cheap. Nordstrom lists them for $188 or more (unless they are on sale, which happens fairly regularly). As a positive you can get 5x Ultimate Rewards via gift cards purchased at office supply stores using the Chase Ink Cash/Plus/Bold or cards that earn 5x on rotating quarterly categories. Nordstroms also has a rewards program that could reduce the price further. 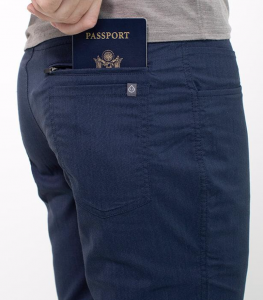 Bonobos Tech 5 Pocket Pants – these worked great for me in my round the world trip. They are stylish, light, have a some stretch, don’t wrinkle that much and are easy to care for/dry fast. At $138 per pair, they aren’t cheap. I purchased these pants through an online cash back shopping portal, which gave me money back and lowered my overall costs. I also have reward points with some retailers that sell Bonobos for additional discounts. 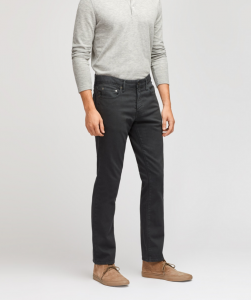 Originally I thought Bonobos only made tight/very slim pants and jeans, but they have 4 different sizes: Tailored (very slim), Slim (my preference), Athletic (room in the back and thighs), and Straight. I’m not sure how well these pants will hold up over many washes and uses over time since they are made of a mix of fabrics (including synthetics). Bonobos Travel Jeans – they have a slight amount of stretch for active people like me. Bonobos aren’t the least expensive brand out there, and the styling is slimmer than I’ve gone with in the past, but I really like them. 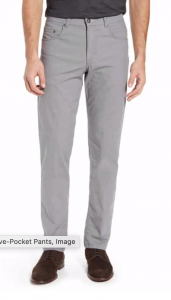 At $98 these are considerably cheaper than high end/high fashion jeans, and Bonobos usually offers 20% off for first time customers. 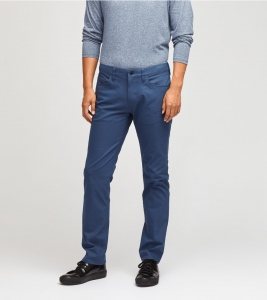 Bonobos also has Stretch Washed Chinos in a ton of colors for a bit more dressy or business casual look, however they are made of 98% cotton, which can be a heavy material while traveling in warm weather. Cotton is a natural fiber, but it’s not my preferred travel fabric. Unless it’s treated in some way, it generally wrinkles, holds water/moisture, and isn’t the lightest material out there. Tasc Switchback Pants – I don’t own these so I can’t speak to them from firsthand knowledge, but they look good, and I trust Tasc to make a quality product. Made of a combination of bamboo viscose, polyester, and lycra. I like the zippered pocket in the back (which generally screams traveler/tourist) but it doesn’t look that bad to me. I’m going to order some soon and give them a go. Lululemon – yoga clothing company that has branched out into everyday wear. It’s on the upper end of the price spectrum, and largely made out of synthetic materials. Some of their clothing looks great, but in terms of build quality and holding up in foreign washing machines, it isn’t high on my list. I like Lulu clothing (like shorts, shirts, and sweatpants) for yoga and exercise, and sometimes bring a piece or two on trips, but in general, it’s not go to travel clothing for me. Lulu also makes travel pants that are quick drying and flexible, they just don’t fit me that well, so I’m agnostic recommending them. Lululemon is also on the upper end of workout clothing brands.